The holiday season brings great things in abundance. 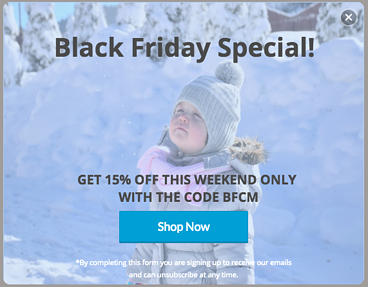 Time with family, your aunt Sharon’s famous casserole, and for ecommerce merchants - lots and lots of onsite traffic (the good kind of holiday traffic). In fact, last year Privy users saw a more than 100% increase in traffic to their stores over the holidays. We realize that in order to get that traffic, you spend tons of time and money driving people to your site. But how do you actually capture that traffic and turn it into revenue for your business? Well, a little personalization goes a long way. Use what you know about your customers to send them more targeted messaging, and you’ll be converting more traffic in no time. Do you want to gate your discount with a request for an email address in exchange for a coupon code, or do you want to broadcast it to everyone that visits your site? That’s a good question. 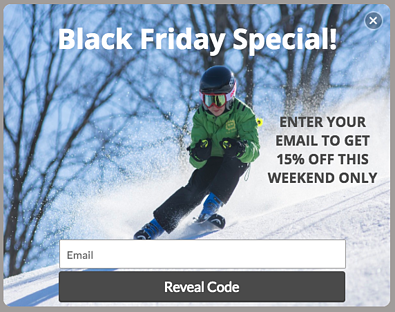 If you already have a shopper’s email address, simply show them the code up front. You never want to give them a poor experience by asking for the email twice. 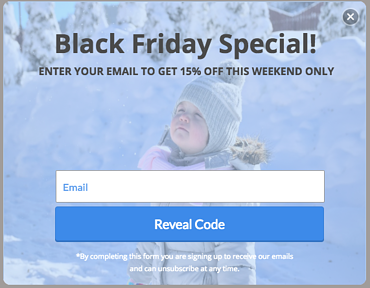 While offering the code up front may seem like it will get you more coupon redemptions, keep in mind that capturing their email address will help you down the road should a shopper abandon their cart. If you do decide to go with a form in exchange for a coupon, consider offering a unique coupon code instead of a master coupon code. They are easier to track when it comes to assessing the overall effectiveness of your campaign. Remember that 100% increase in traffic over the holidays we mentioned earlier? Well, two thirds of that traffic came from mobile devices. To help capture some of that mobile traffic, and for the best user experience, we recommend that you show mobile visitors a flyout. It’s similar to a pop up, but flies out from the bottom of their screen and is made specifically for mobile devices. We get that you don’t want to hand out huge discounts to every single shopper. With cart value targeting, you can offer larger discounts to shoppers with a higher cart values. For example, for carts under $50 maybe you want to offer free shipping, for carts between $50-$100 offer $5 off, then for carts over $100 offer $10, and so on. Learn more: Find out how these tiered campaigns work for leading brands like Zutano. 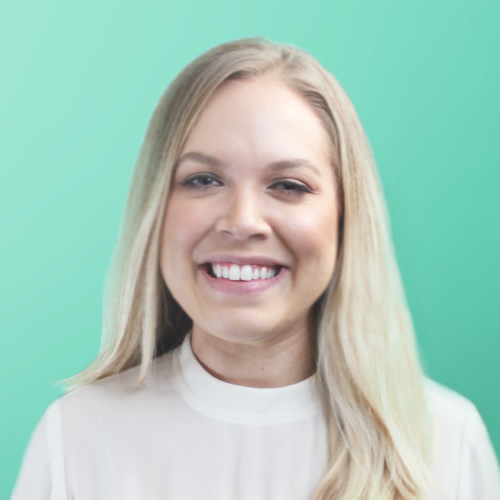 Welcome back campaigns are basically your way of saying to shoppers “Hey, I know you!” Whether you give them a special offer for returning to your site, or simply serve up a nice message acknowledging that they are a returning visitor, they will appreciate the sentiment. Pro tip: by combining cart value targeting and sessions count, you can serve up a welcome back abandoned cart reminder to those who have more than $0 in their cart. 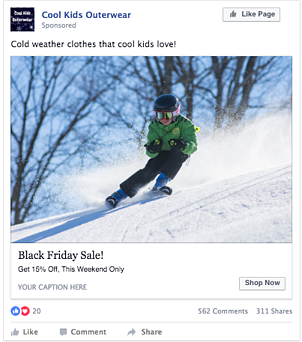 For shoppers that end up on your site via a paid advertisement, continue that same experience from the ad once they land on your site. Using referral source targeting, you can say ‘referring URL’ contains Instagram or Facebook. Then use the same imagery and offer to continue that same messaging onsite. For more ways to personalize your shoppers’ experience, download our Audience Targeting Guide!